As soon as I saw the name and can art I knew this beer was a must buy for me. My wife and I are huge fans of Stranger Things and I couldn’t resist trying out a beer that pays homage to this amazing series. 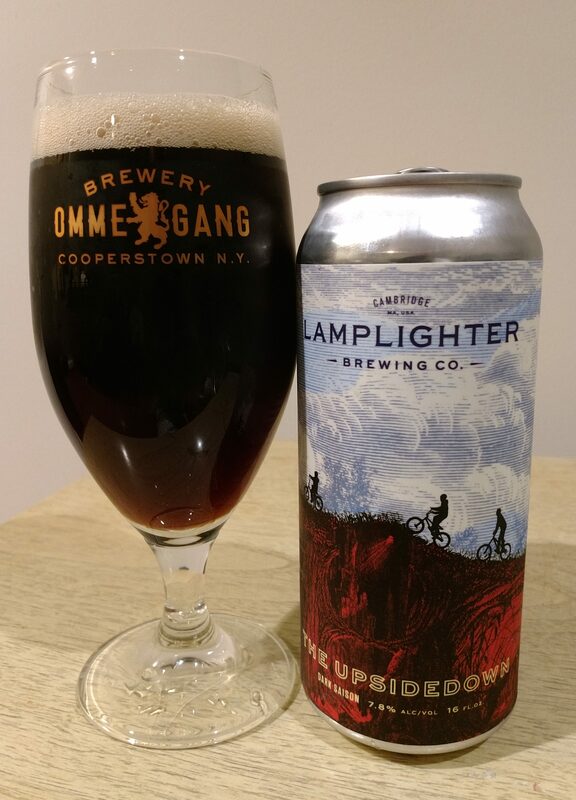 Description: Reading from the can, this dark saison was brewed with caramel malts and rye and fermented with a Belgian farmhouse yeast. Recommended food pairing is waffles, preferably Eggos I would assume. Appearance: Deep cola brown body topped by a fizzly off-white head. Smell: Dark fruit sweetness mixed with a subtle hit of that distinct farmhouse yeast. Taste: Very subdued overall, this started out with hints of dark fruit and toffee sweetness, followed by notes of creamy yeast and wheat. The finish was earthy and featured subtly toasted malts mixed with a bit of pepper and spice. A slight bit of heat towards the end of the glass. Mouthfeel: Light body that felt slightly creamy on account of its low-level of carbonation. Hype: I didn’t know anything about this going in. I just jumped at the cool name. Overall: Unfortunately I found the name and can art a bit more exciting than the beer itself. It seemed a bit stuck between trying to be both a saison and a brown ale without really finding a way to stand out as either. Super mellow throughout, but what stuck with me the most for me were the toasted malts and earthiness on the finish which just wasn’t quite my thing. No regrets in trying this though. 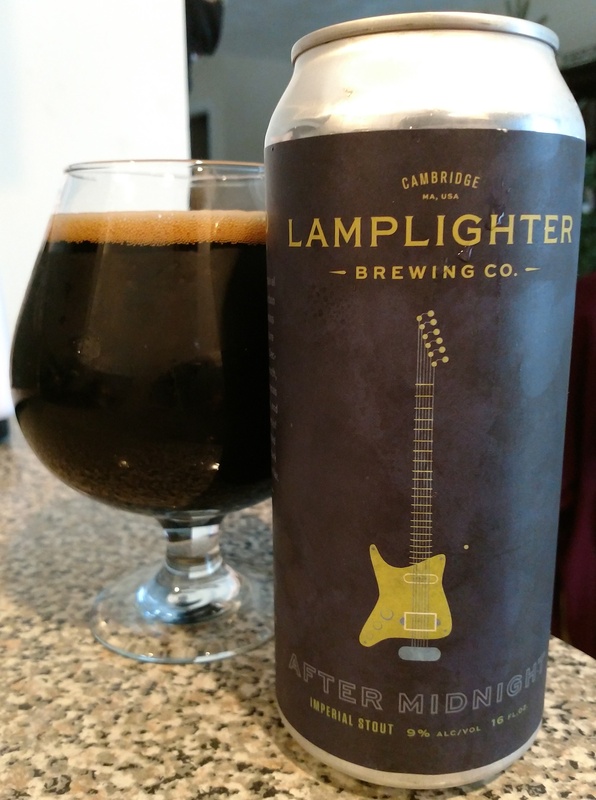 Another musically themed beer from Lamplighter Brewing Company that put a song in my head. I’m not sure if I am officially declaring a Stout Season this year, but from here on out just go ahead and assume we’re already there. 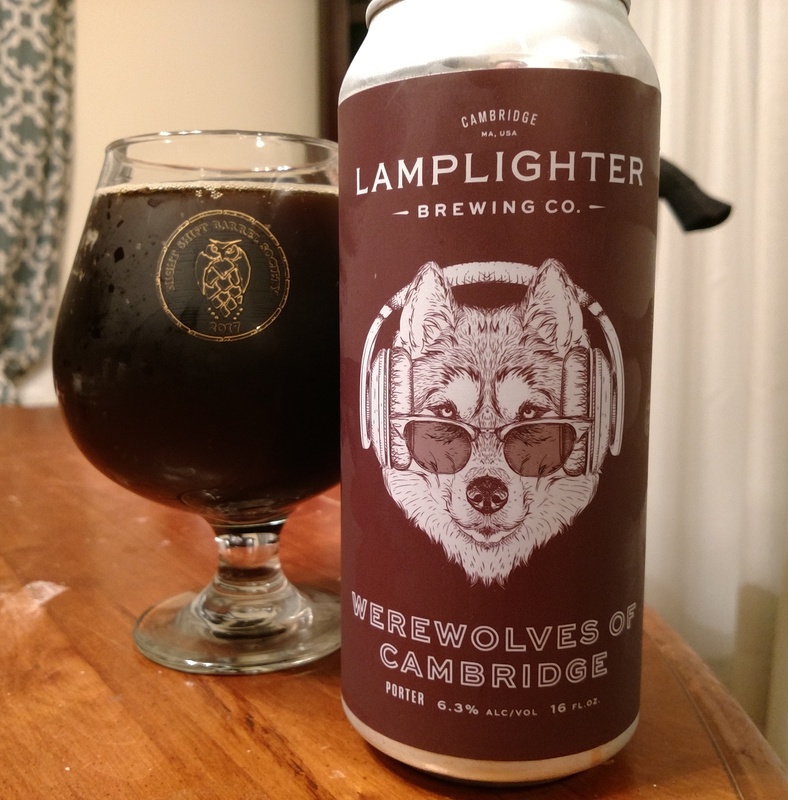 Description: The label on the can told me that this Imperial Stout was brewed with Bourbon Madagascar coffee beans and over 200 pounds of Vermont maple syrup. Appearance: Poured a thick black body that got topped off by a thin tan head. Smell: A light amount of roast mix a bit of heat mixed in. Taste: A lot of bold tastes going on in here. The front part of the beer featured an inviting blend of sweet, bitter, and roasty flavors. Dark chocolate, espresso, and molasses were the standouts. Towards the finish there was a subtle change in the balance of flavors with a bit of maple syrup, vanilla bean, medium roast coffee coming through. It culminated with just a slight bit of heat on the very end. Mouthfeel: Thick bodied with a very minor amount of carbonation. Pleasant warming feeling on the end. Hype: I had a good feeling about this one when I saw it. The can I bought was the last of its kind on the shelf, so I felt like it was meant to be. Overall: A very, very good brew that was executed amazingly well. I was heavily into this flavor profile a few years ago and had this existed then I probably would have stockpiled as if for the zombie apocalypse. Though my tastes today are a bit different today, instill really enjoyed this beer and highly recommend it. Good evening a welcome to part 2 of my Halloween double feature! Having the best name out of my haul for the month, I saved this brew to drink “live” on Halloween night as the second half of my double feature. I think we all know what song is playing while I write-up this review. Description: There wasn’t much about this on the company’s official website, so I had to turn to Instagram for some more information. Calling it perfect for fall weather, the brewers promise notes of coffee, chocolate, and dark fruit. Appearance: Black body, as expected. A thin, light tan bubbly head formed with the pour but very quickly fizzled away. Smell: Sweet, dark chocolate upfront followed by hints of roasted coffee. Taste: Started out with sweet malts and then turned towards bitter dark chocolate as it approached the halfway mark. From there it transitioned to lightly roasted coffee with undercurrents of sweetness tasting of malt and dark fruit. The finishing taste was a combination of light sweetness and a mild roasty bitterness. It was an interesting variety of flavors but they came together well into a smooth, subtle, and balanced whole. Mouthfeel: Smooth, slightly creamy thin to medium body. Very low carbonation. Hype: I obviously had high hopes for this since I saved it specifically for my Halloween night review. Other than that, I hadn’t really heard a lot about this. Overall: I don’t always get excited about porters, but I found a lot to like here. While this isn’t my typical go to flavor profile I did enjoy how all the different aspects came together. I would love to find this on tap somewhere for pairing with a nice meal; could see this going great with some barbecue. If you’re into porters (or maybe even if you’re not), give this one a go. Happy Halloween to all, and to all a good night! Awoooo!